creating new collagen fibers, but sometime these repairs do not end up being as flat or smooth as the original skin. The main Scarring type being addressed here is depressed scarring or Atrophic scars. These are the ones caused by loss of tissue, the main types are Icepick or Boxcar scars. Icepick scars look like small noticeable holes in the skin and boxcar scars look like small round or oval dents on the skin. 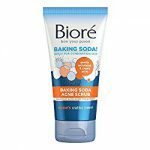 These scars are the most common among acne sufferers or previous acne sufferers and are some of the most difficult ones to get rid of. 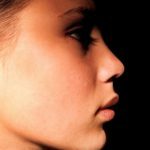 Will my Scars go away? Short answer is no; the scars won’t go 100% away however there are many things you can do to certainly fully reduce their appearance in your face to the point that they won’t be as noticeable. You need to keep this in mind when looking at scar solutions, so please do not be discourage if after a few months you do not see much of a difference. 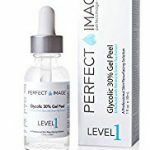 Like always, different skin types will have different effects to these treatments, the important thing is finding something that will truly help you and I believe based on my experience and research the products recommended here will help. 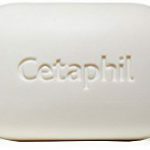 The following methods cover the entire spectrum of skin types, so they will certainly help you. Below are a few of the methods I’ve used that helped me and many people reduce Scars. These methods were chosen not only because I’ve used them and seen great results on me and others, but also they are price conscious, you won’t spend thousands of dollars on these treatments. You will see some products below, to see the full list of product reviews check out the Scar Products page. 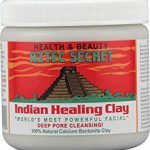 This is going to leave your skin feeling a bit stingy, on the Red/Dry Skin page of the site I recommend a great moisturizer to put on after Needle Rolling. 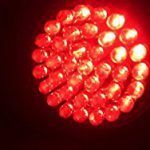 Red LED Light Therapy Review – For those Happy with their Acne treatment and want full power Red light therapy. 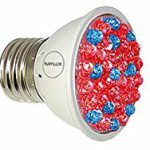 The light bulb works on any light socket and can be easily installed in a lamp and shine on your face. 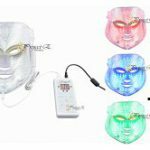 If you want to invest a bit more money the Photon mask is an excellent choice because it will consistently point at your face and you can still move around. Check both reviews to help you decide, they are both very effective. 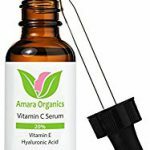 Amara Organics Vitamin C Review – A top rated natural product for a great beautiful skin. 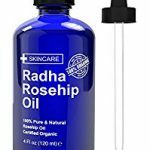 Radha Beauty Rosehip Oil​ Review – An amazing organic product with actual studies proving its usefulness. 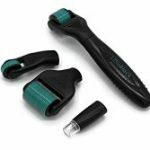 To see the full list of product reviews check out the Scar Products page. 1. Sun exposure: I’m not telling you to turn into a vampire, I’m just telling you to avoid the sun as if you are one. The sun has some not so beneficial rays that can worsen yours scars and skin, so avoiding prolonged exposure to the sun is important, same goes for tanning booths. 2. Sleep: I’m sure you heard this so many times it makes you cringe now, but the fact is sleep is important especially if you want your skin to recover from some of the treatments and products recommended. Your body needs to heal period, get your 7 hours a day. Many times some of the treatments I’ve done to my face looked worse the next day because I have so little sleep my face was still healing. Collagen production needs a lot of time to work and sleeping helps the process greatly. 3. Nutrition: Yea, this one too, you want your body to magically heal without any energy source? It does not work that way, you need at least three meals a day and healthy food for a healthy body. Scarring may not be fully cured, but it sure can be reduced noticeably. The important thing is sticking to a treatment and hope for great results, spending a good amount of time and effort on these treatments will yield great results. The most important thing is to accept yourself no matter what and just because we are doing all this does not mean we do not love ourselves it is simply a small way to improve ourselves. Join me in our Red/Dry skin page for some tips on well… dry and red skin.